What superpowers would be fun, but useless? The ability to hold water. Like if you could manipulate water in your hands without it dispersing, but not able to change it's natural form. Basically you have something to keep your hands busy, but nothing else. 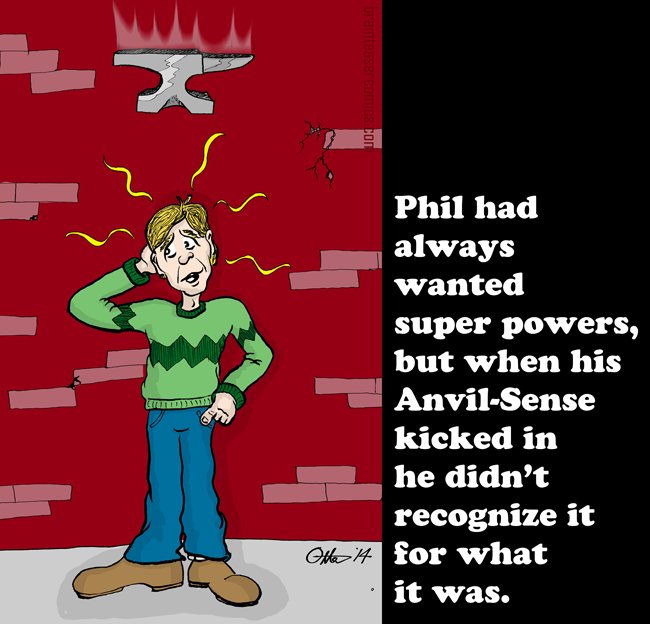 Sometimes it's hard to discern the different between anvil-sense and that tingly feeling you get when you have to pee. ...which was Phil's ultimate undoing.